Robot 324 is a small water jetting machine which revolutionises the hydrodemolition industry with its compact design and flexibility. 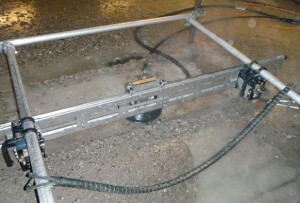 The small Robot 324 opens up new areas for mechanising concrete removal with superior bonding due to absence of micro cracks and replaces inefficient hand lancing and jack-hammering and other percussive methods. 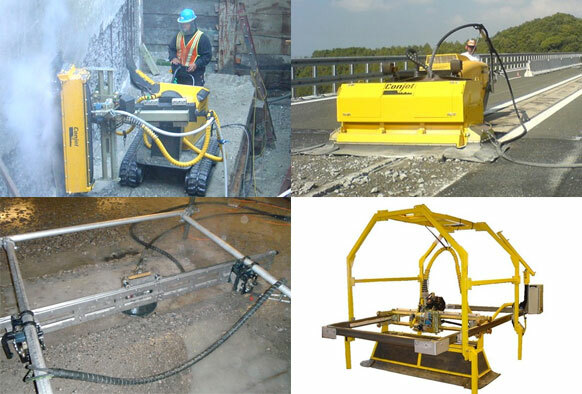 The diesel powered Robot 432 D is ideal for removing concrete from large horizontal surfaces such as bridge decks, quay slabs and parking decks. The Robot 432 D can in fact achieve higher removal rates of concrete than any other standard Hydrodemolition robot in the market. This can be achieved because the Robot 432 D operates with reaction forces up to 4000 N, which are created when high pressure water from up to 1100 kW (1500 hp) high pressure pumps is fed to the robot. The diesel powered Robot 432 D has been developed according to the same proven and well known principles found in all Conjet products, including productivity, reliability, profitability and safety. The Jetframe 101 NALTA has been designed to replace hand lances for a large number of hydrodemolition applications, increasing productivity and improving safety for operators. The compact and lightweight Jetframe 101 NALTA is supplied with high pressure water from a standard hand lance pump and can operate on flat as well as curved surfaces with a radius as small as 400 mm. 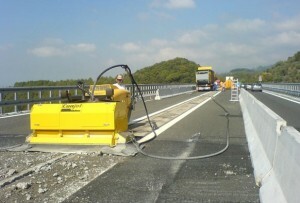 It is mainly used for the hydrodemolition of concrete, but is also suitable for other applications, such as surface reparation and descaling of steel. 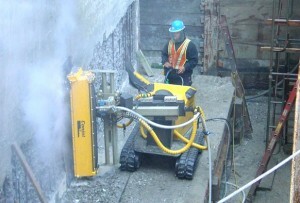 Jetframe 114 hydrodemolition systems allow the selective removal of concrete in confined spaces or areas inaccessible to standard hydrodemolition Robots. 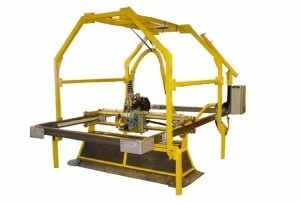 The Jetframe is remotely operated up to 100 metres from the computer control system CCU 208. The operational parameters can be set and monitored on the display screen on the remote control console.